Thanks to view my OFFER! And welcome my OFFER!! I will your data extraction and data analysis, be assistant. I am available 24/7 for service for you. My work for satisfies my client. ✜ Administrative Support and other skills. ✔ Why Should You Hire Me? Discus First about your work. 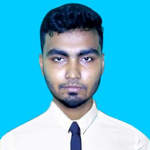 I am professional Lead Generation, Web Researcher, Data Mining Specialist, Google Sheet expert, Email Marketer and Property, Amazon-eBay( listings, searching, uploading, management...Read moreI am professional Lead Generation, Web Researcher, Data Mining Specialist, Google Sheet expert, Email Marketer and Property, Amazon-eBay( listings, searching, uploading, management etc.) with 5 years working expertise.